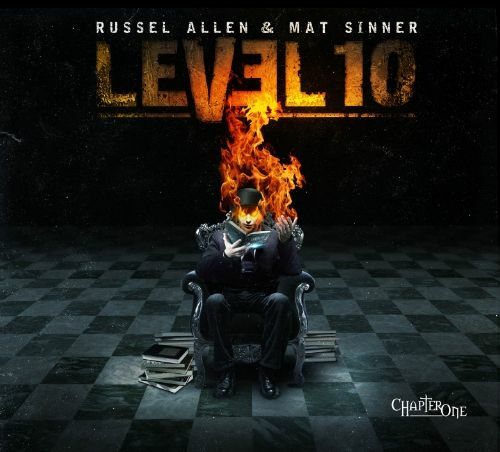 Level 10 brings together Adrenaline Mob / Symphony X vocalist Russell Allen and Primal Fear’s bass player Mat Sinner. The band release an album called “Chapter 1” through Frontiers Records on 23rd January. Both Allen and Sinner are artists whose names appear fairly regularly when I’m checking out new releases or catching up on the latest music news. Once again it seems to have been Frontiers President Serafino Perugino though who can take the credit for getting the two working together on this project. The recording and release of the album might have been a lengthy process due to the various commitments of those involved, but ultimately it has been worth the wait and “Chapter 1” is well worth checking out. The other members of Level 10 are Roland Grapow (Helloween / Masterplan) and Alex Beyrodt (Primal Fear) on guitars, Randy Black (Primal Fear) on drums and Alessandro Del Vecchio (Hardline / Voodoo Circle etc) on keyboards.There are 12 tracks on “Chapter 1”. Hopefully the name of the album might infer that there is more to come from the band, but I guess we’ll have to wait and see. Personal favourites include “Soul of a Warrior” and “Blasphemy” both of which have already been played on the Friday NI Rocks Show. Others would include “Cry No More”, “No Turning Back” and “Scream and Shout”. The simple idea behind “NI Rocks Recommends” is to acknowledge and promote some of the great music being submitted to Rock Radio NI. To be honest I’m not really a big fan of traditional “Reviews” which essentially just represent one person’s opinion. With “NI Rocks Recommends”, I'll not be giving marks or ratings or analyzing the tracks in great detail; just telling you something about the artist and the album.